Ocelová vložka svorníku motoru 1ks. Case savers 12 mm - 1.50 x 8 mm - 1.25 each. 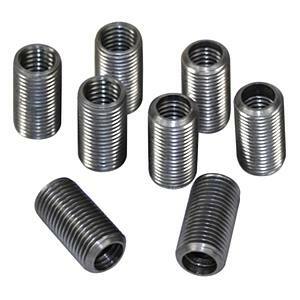 For positive repair of stripped threads for VW case studs, or used just as a preventative measure on new engines. Restores stripped threads to original sizes for use of original case studs. These case savers provide a better thread than original design steel stud to aluminum case.